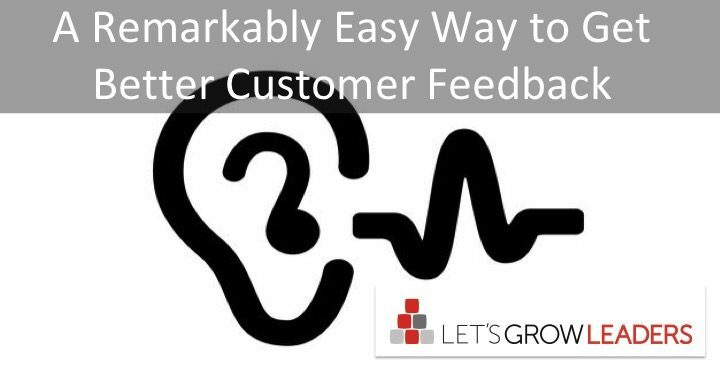 Do you have a good way to tap into the customer feedback your employees are hearing every day? Are your frontline employees trained and equipt to be true customer advocates? Do they feel like their voice is being heard? 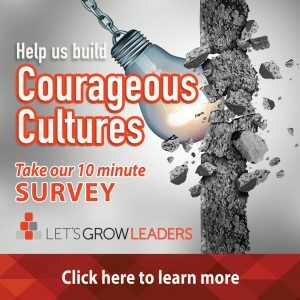 If you’ve been following our blog for a while, you know that David and I are in the middle of in-depth research on courageous cultures, which puts us on high alert for best practices in problem-solving, micro-innovation and customer advocacy. 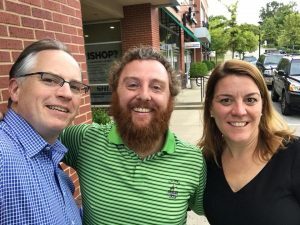 So when we were in Nashville for a keynote, we met up with Nate Brown Founder of the CX Accelerator Lab, a really cool, free slack community of customer experience professionals. He had such a perfect example of a micro-innovation that taps into customer feedback. I couldn’t wait for our book to be published to share. I’m giving you a sneak peek because I think you could benefit from this Do It Yourself, Voice of the Customer idea right now! He tells the story better than I can. Watch how he uses a simple USB web key button to empower employees to give real-time customer feedback. And then, he integrates it with other Voice of the Customer data. Nate says they now have more and better quality customer feedback than ever before. Employees are more engaged in the process and interested in the outcomes. That’s the power of micro-innovation and customer advocacy. Nate shared why the CX Magic button works like magic on the CX Accelerator blog. Omni-channel – The button works for any and all types of feedback coming in. This could be a phone call to support, an email, a conversation at a trade show, an executive seated next to a customer on a plane, a social media post, or just about anything else. The simplicity of it makes this level of flexibility possible. A Tangible Reminder – You may already be thinking, “What’s the point of the button? Why not just have everyone bookmark the feedback form?” If you take a quick look at all the dozens of sites you currently have bookmarked, the answer will be clear. Having a physical button right there in front of you sets this program apart from the everyday noise. We literally bought buttons that FLASH! There is power in having a constant visual reminder of this great channel that has been created to enhance the Customer Experience. Extreme Ease of Use – From the very beginning, we designed the program to be remarkably easy for the employee entering the feedback. 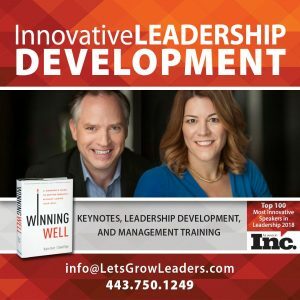 Even small barriers to the process of entering feedback will result in dramatically reduced participation. Make it a quick, rewarding experience for all involved. 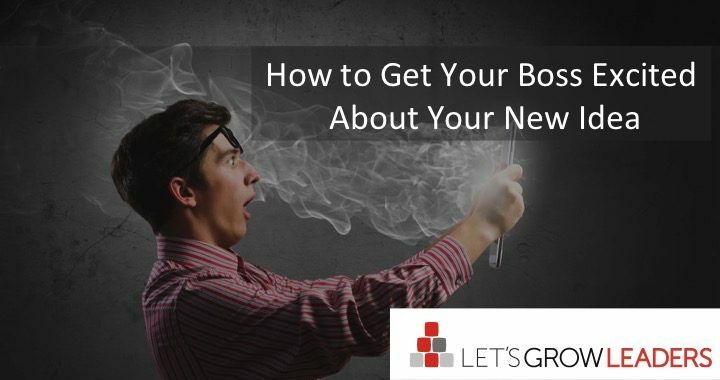 And of course…don’t forget to close the loop to earn credibility! Not Just For Customers – The form you create can have a tab for employee feedback as well. Give your people a channel to voice any hurdles they may encounter while delivering outstanding CX. 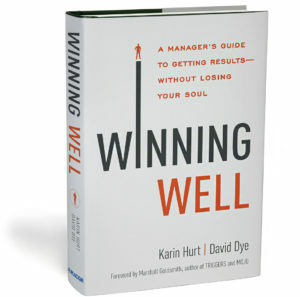 This is sure to have a positive impact on your CES (customer effort score) both internally and externally. But It Could Be For Customers! 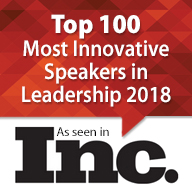 – Talk about an amazing technique to blow your VIP customers away…give them a button of their own. Let them know that this is generally reserved for employees only, but you value their feedback so much that you’d like for them to have one. I can’t imagine a better way to transform a simple piece of plastic into a life-long loyalty enhancer! The problem when you can’t use an idea because it’s bad or won’t work is that it’s often the first idea someone has. 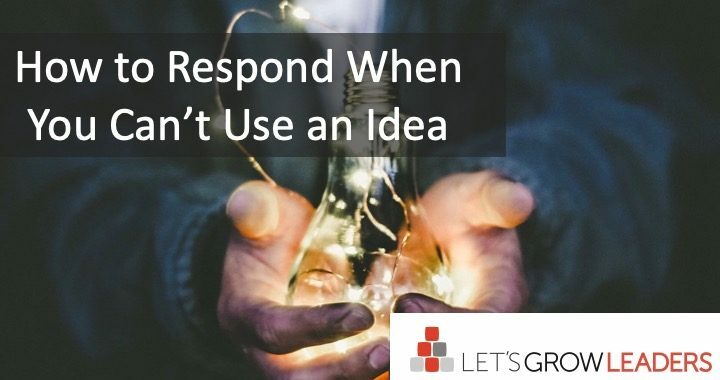 If you respond poorly to the idea you can’t use, you won’t get the ideas you can use. This was Mattias’s problem. When people brought him an imperfect idea, he would get frustrated, tell them why it wouldn’t work and shoo them out of his office. They never came back. Share the process. If you were able to trial their idea, focus-group it, or do anything with it, let them know what happened. What problems did it run into? Were there competing priorities? Did the solution break down or prove impractical during testing? Take a few seconds to respond and close the loop. It will energize the person who shared their idea–even if you couldn’t use it. What ideas will help most? 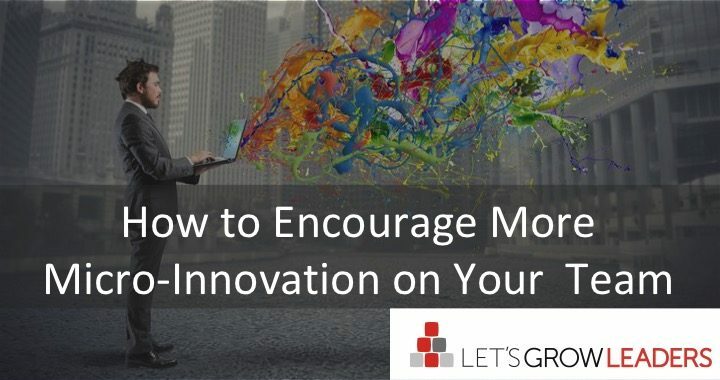 What will good ideas achieve when you put them to work? Use 5×5 communication when it’s important – share key messages five times, five different ways. If you’ve shared the focus, checked for understanding, and someone brings you an idea that seems way off target, resist the urge to chastise them. Instead, use it as an opportunity for a micro-coaching session. Ask them how their idea will help achieve the goal. Taking a moment to be curious can help uncover great ideas or help a team member understand what a great idea looks like. At other times, they might surprise you with a linkage or explanation that you didn’t see. When you can’t use an idea, the problem might be that the person doesn’t have enough information to make a good suggestion. What information can you add that will help them think more deeply about the issue? Do they need budget data or to better understand how their work fits into the bigger picture? Maybe they need comparative data from other departments or process. Give them the information they need to think more strategically. Once you’ve clarified the focus and given them more information, invite them to keep thinking and to share what they come up with. When you get an idea you can’t use, it’s an opportunity to help people think more deeply and to get even better thoughts. 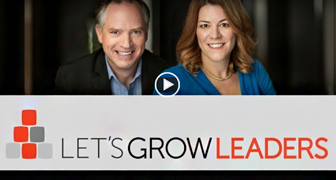 Leave a comment and share your best suggestion for how to respond when you get an idea you can’t use.